In honor of Lesbian, Gay, Bisexual, Transgender, and Questioning Pride Month, I thought I’d look at three of my favorite authors who have written some great fiction focusing on LGBT characters, and who just happen to also be gay themselves. Stop by the library and check out one of their books this month! You can also see a display of LGBTQ resources in the glass display cases in the second floor vestibule. I’ve never been to San Francisco, but I fell in love with the city when I was a teenager reading Armistead Maupin’s Tales of the City. The series started out as a serial in The San Francisco Chronicle in the late 1970’s and focuses on a diverse group of residents with a variety of orientations, who live in an apartment building at 28 Barbary Lane. Although the characters are clearly meant to represent the archetypes that you would have bumped into in the city at the time (innocent Mary Ann, hippy Mona, and lady’s man Brian) you will still find yourself caring about their lives throughout the years. The sweet, caring, and proudly gay Michael Tolliver, or Mouse as he is known to his friends, was my favorite. The Days of Anna Madrigal, the ninth and final book in the series, was just published in January. 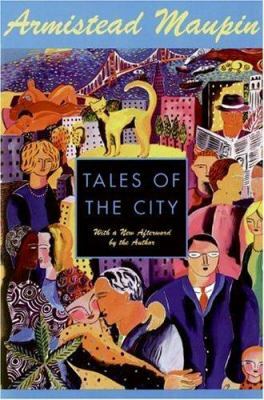 I stayed up late to watch the television adaptation of Tales of the City starring Laura Linney and Olympia Dukakis, when the miniseries first aired on PBS in 1993, but you can borrow it on DVD from BCCLS libraries. When I was in Graduate School, I was delighted to meet Maupin when he was doing a reading and talk at Harvard for a standalone novel The Night Listener. The Tales of the City series is best read in order since some of the characters, especially Mary Ann, change considerably through the span of the years the novels cover. 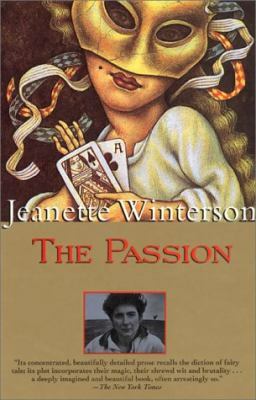 I read Winterson’s Venetian set The Passion as part of a literature class in college and quickly devoured her other works including two of my other favorites of hers: Oranges Are Not the Only Fruit and Sexing the Cherry. Her first novel Oranges Are Not the Only Fruit brings in autobiographical elements and the character’s name like Wintereson’s is Jeanette, however, for those wanting a more direct memoir you can read her 2011 autobiography Why Be Happy When You Could Be Normal?. Both deal with the ramifications of coming out as a lesbian in a very religious family. If you like reading books with straightforward narratives, then Winterson may not be your favorite author, but I find her work’s mix of intertextuality, metafiction, manipulation of history, satire, and magical realism intriguing and often insightful. She has won two Lambda Literary Awards for Written on the Body and Why Be Happy When You Could Be Normal?. I’m looking forward to reading her latest novel The Daylight Gate, which deals with the witch trials in the 1600’s. I coincidentally picked up Sarah Waters’ first novel when I was at a book signing for Jeanette Winterson’s The Power Book. At the time I was unfamiliar with Waters’s work, but the description on the back cover of a young woman who leaves her family’s oyster restaurant after she falls in love with a male impersonator and becomes a music hall performer herself, hooked me. Tipping the Velvet is still my favorite of her works, but I would recommend checking out her other books as well. As you might have noticed from previous blog posts I’ve written, I enjoy historical fiction, especially those set during Victorian times. 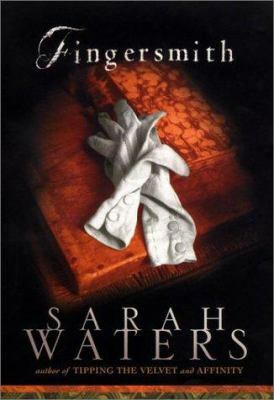 Sarah Waters’s first three novels Tipping the Velvet, Affinity, and Fingersmith are all set during that period. They bring some of the social issues as well as the atmosphere of the time to life along with the imaginings of the lives of lesbian characters who could have lived during that period. Her two most recent books The Night Watch and The Little Stranger are set in the 1940’s. Her next novel The Paying Guests is scheduled to be released in September and is set during the 1920’s. Tipping the Velvet and Fingersmith were turned into UK miniseries and are available from BCCLS libraries.